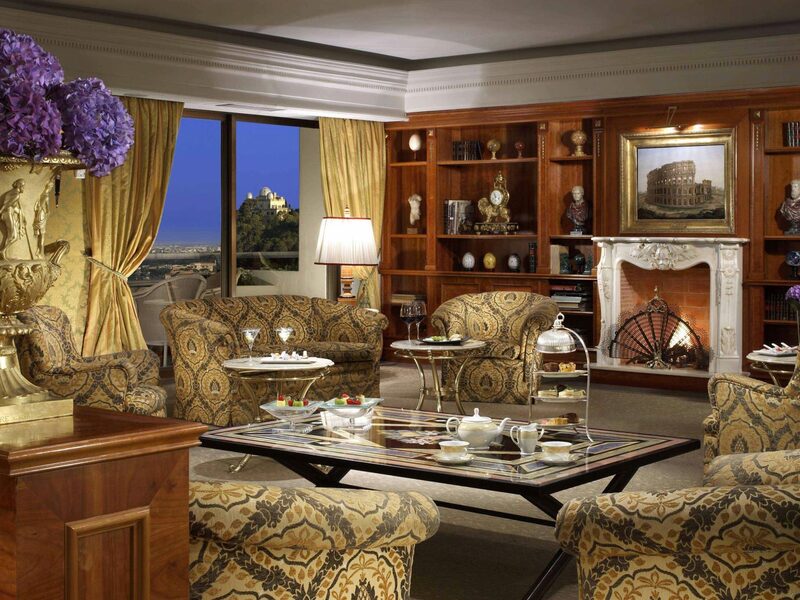 With its dolce vita lifestyle, fashion-forward aesthetic, and wealth of cultural treasures, Rome has style in spades. 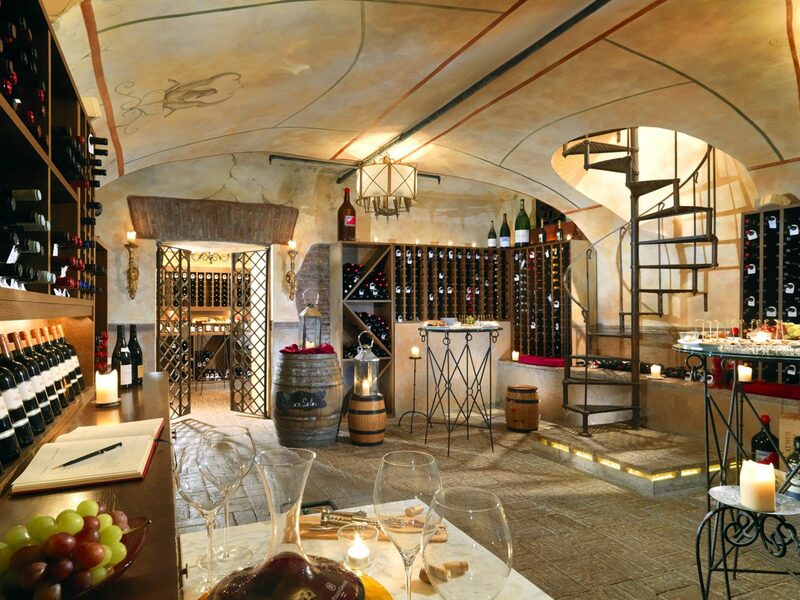 But while there are few more glamorous destinations than the Italian capital at any budget, luxury travelers get the full VIP treatment, from private villa dinners and exclusive museum tours to the best accommodations in town. 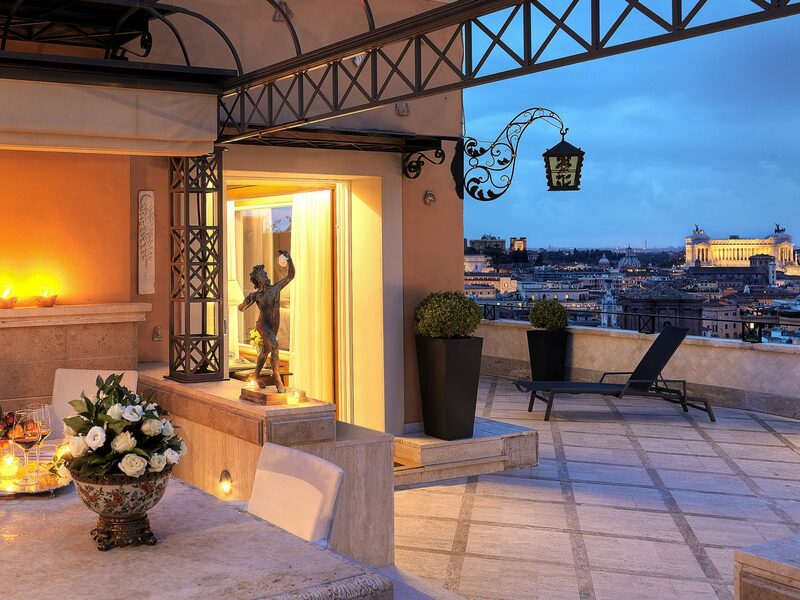 To help you find your way to the good life, we’ve rounded up 10 of the best luxury hotels in Rome, places where you can live like a king—if only for a night. 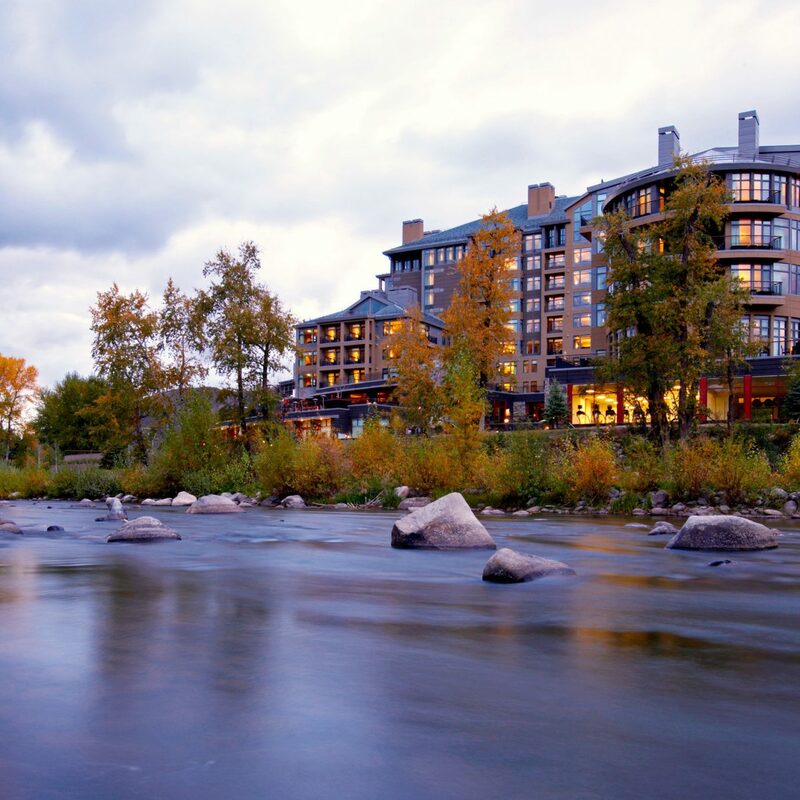 It’s not hard to figure out the concept behind this intimate luxury hotel (just look to its name). 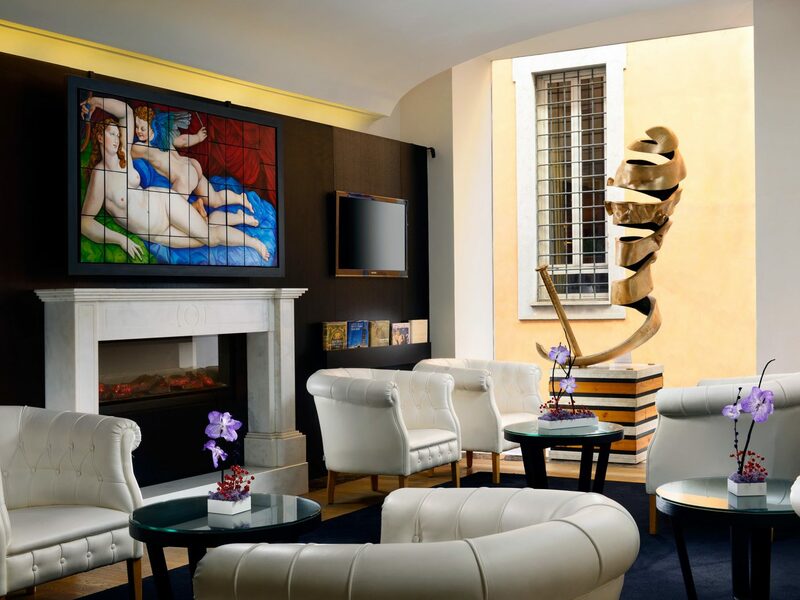 Tucked away on a quiet street about a 10-minute walk from the Spanish Steps, the First Luxury Art Hotel Roma is a contemporary alternative to the historic grande dames that dot the city’s tourist zone. 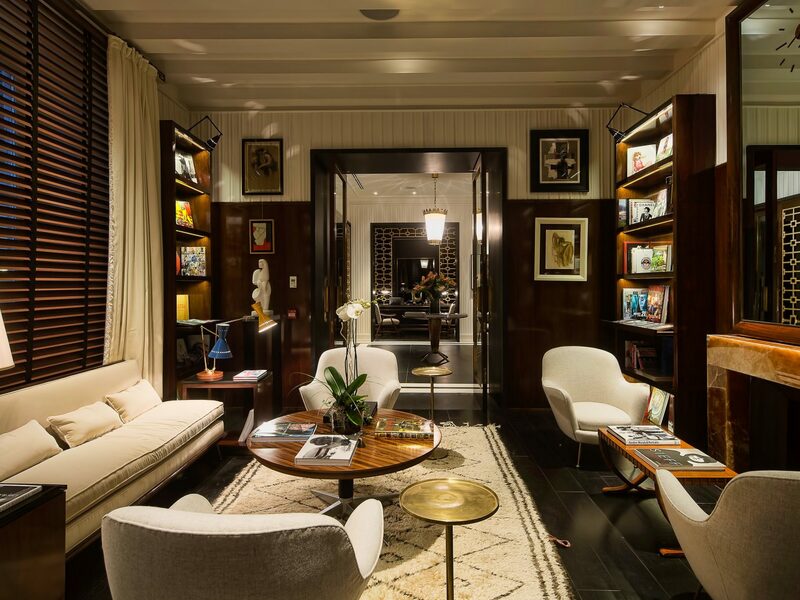 Part art gallery, part uber-stylish hotel, the 19th-century townhouse showcases works by Italian-born and international artists throughout the 29 apartment-style rooms and suites, each surrounding an atrium edged in wrought-iron railings. 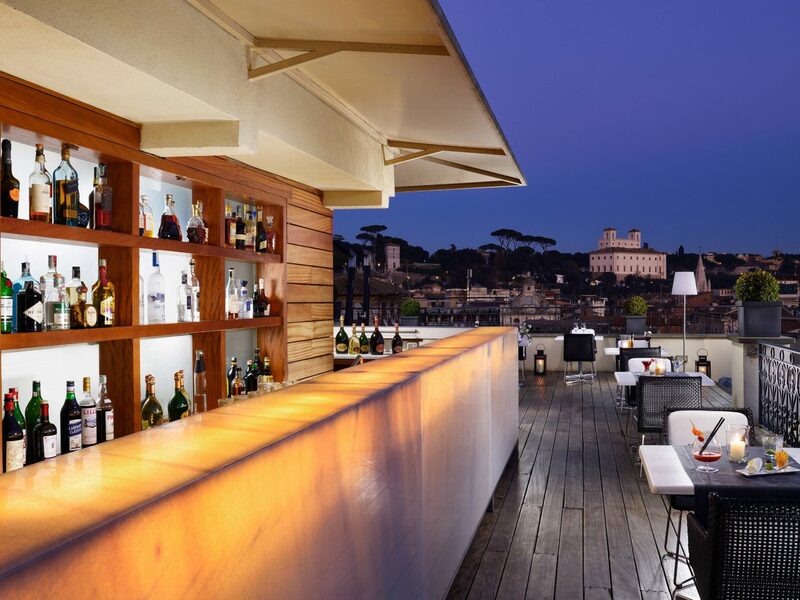 When you’ve taken in all the art, head to the rooftop bar for views of the centro storico. 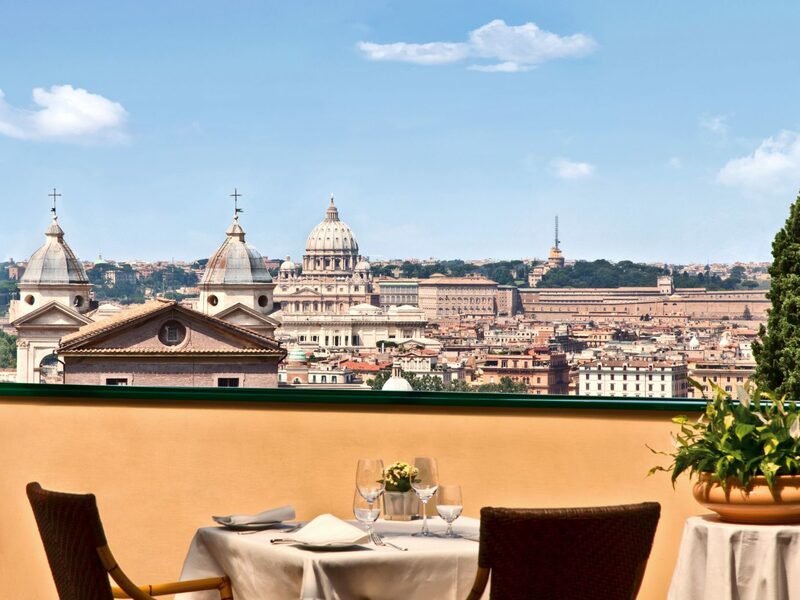 Sitting pretty high atop the Spanish Steps, Hotel Hassler has commanding views of Rome’s terra cotta rooftops and St. Peter’s Basilica, a panorama made all the more inspiring when paired with the contemporary Italian dishes at the Michelin-starred Imágo restaurant, on the sixth floor. 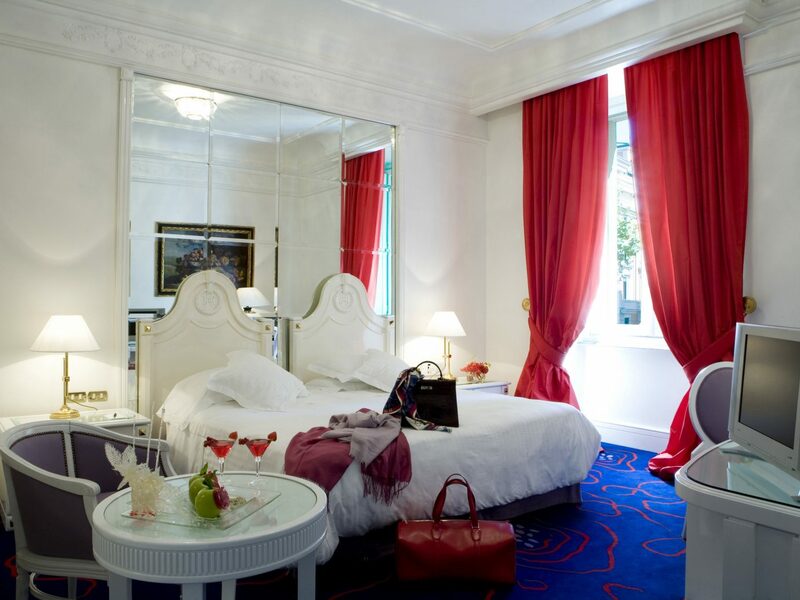 The hotel also has a cinematic history that keeps Hollywood A-listers like Gwyneth Paltrow and Tom Cruise coming back for more: Grace Kelly honeymooned with Prince Ranier III of Monaco here in 1956, and Audrey Hepburn called the hotel home while filming Roman Holiday. 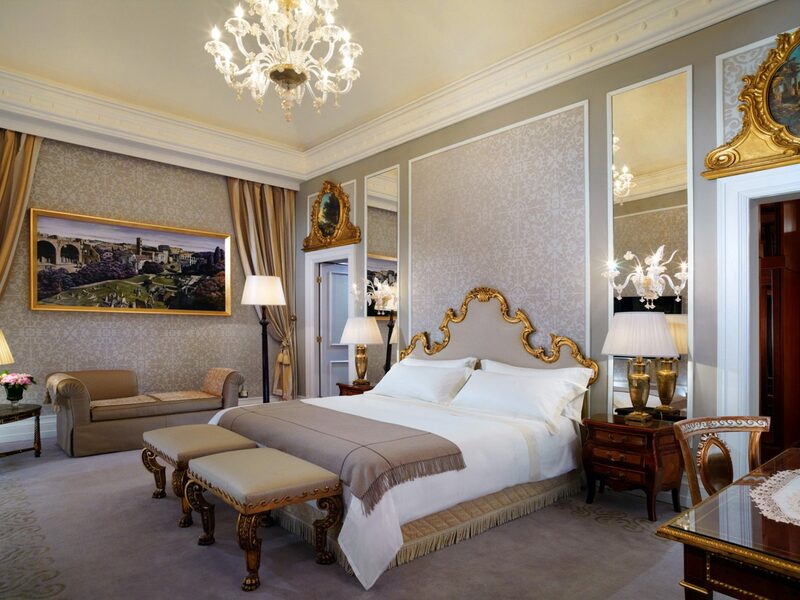 To satisfy its A-list clientele, the 95 rooms are the ultimate display of la dolce vita with Renaissance-era antiques, Limoges porcelain, and trompe l’oeil frescoes. 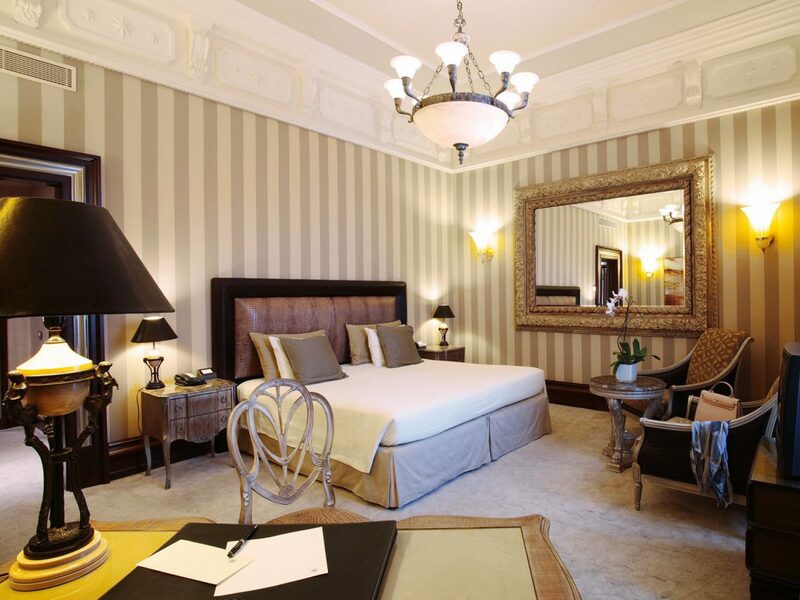 Opened in 1894 by the legendary César Ritz near the Piazza della Repubblica, the St. Regis is more museum than hotel. 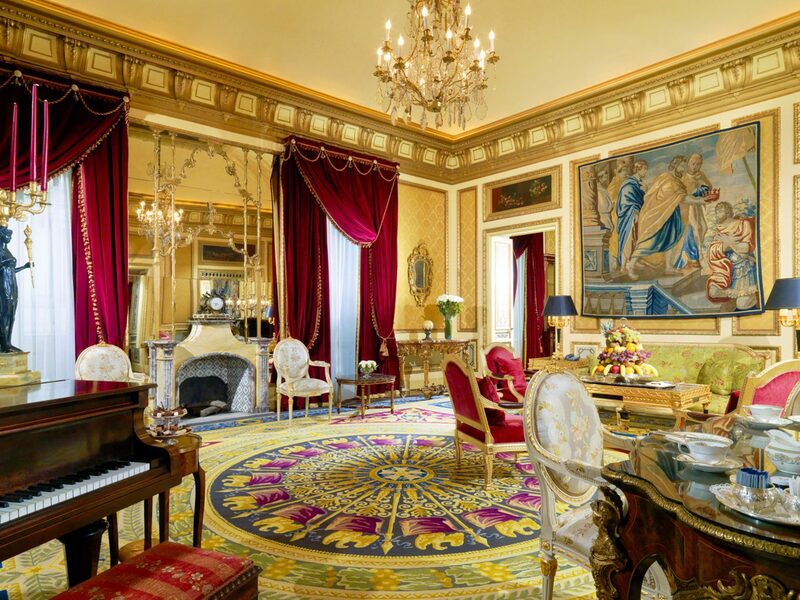 After a multi-million dollar refurbishment, the historic stucco staircase, watercolor frescoes, and gilded antique chandeliers have been restored to their original splendor in the opulent ballroom; the sapphire-blue library lounge follows suit with Venetian mirrors and antique sconces. 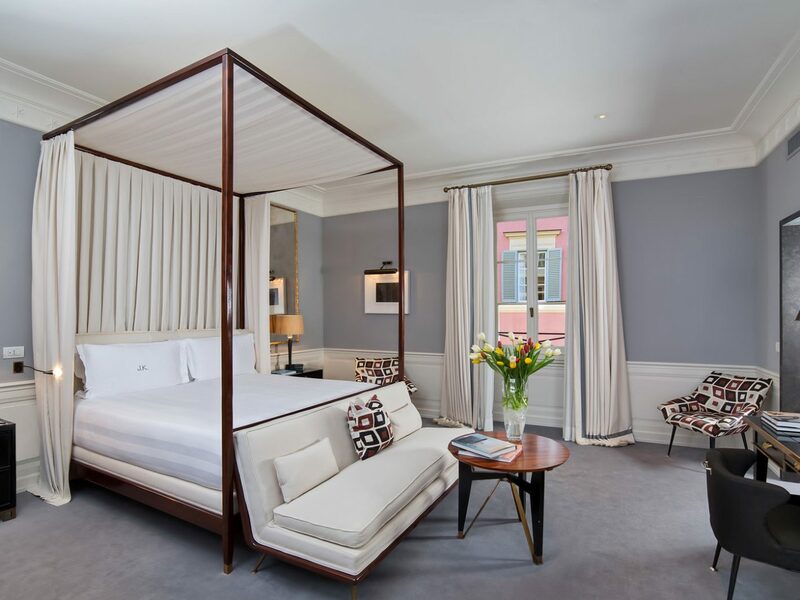 The Belle Époque rooms, which are currently undergoing a revamp of their own, feature frescoed ceilings, inlaid wood furnishings, and Neoclassical details, but you likely won’t be in them for long. 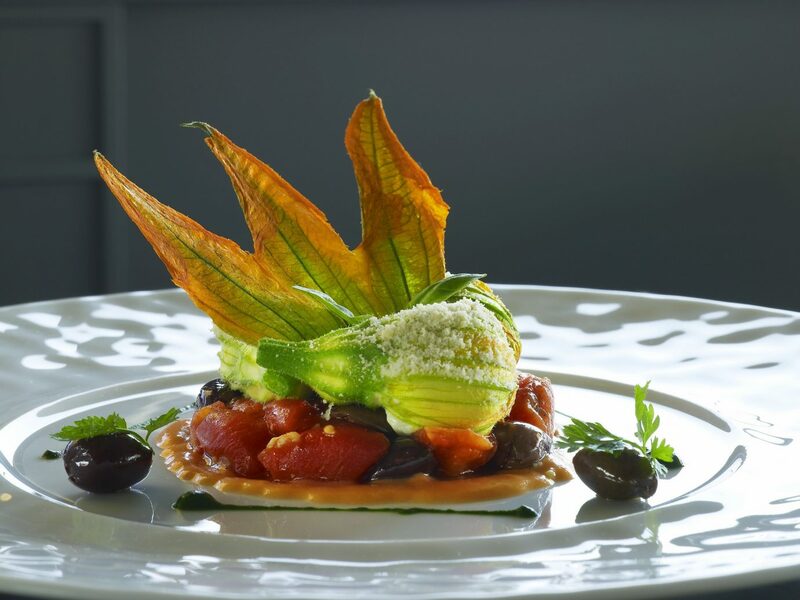 Among other concierge and in-house butler services, the hotel hosts a gelato-making workshop for the young and young at heart. 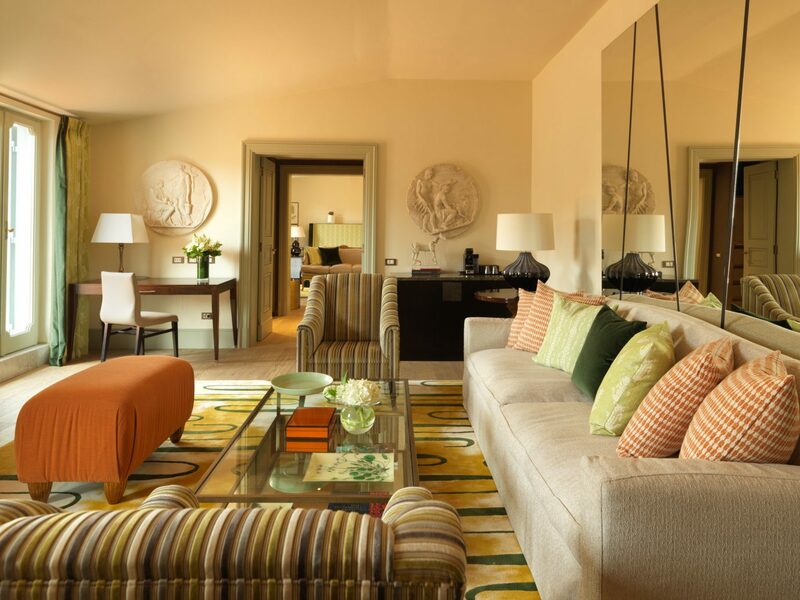 If your Eternal City shopping itinerary is longer than your sightseeing agenda, consider a stay at the legendary Hotel de Russie, a grand 19th-century palazzo that’s a stone’s throw from the high-end boutiques of Via Condotti. 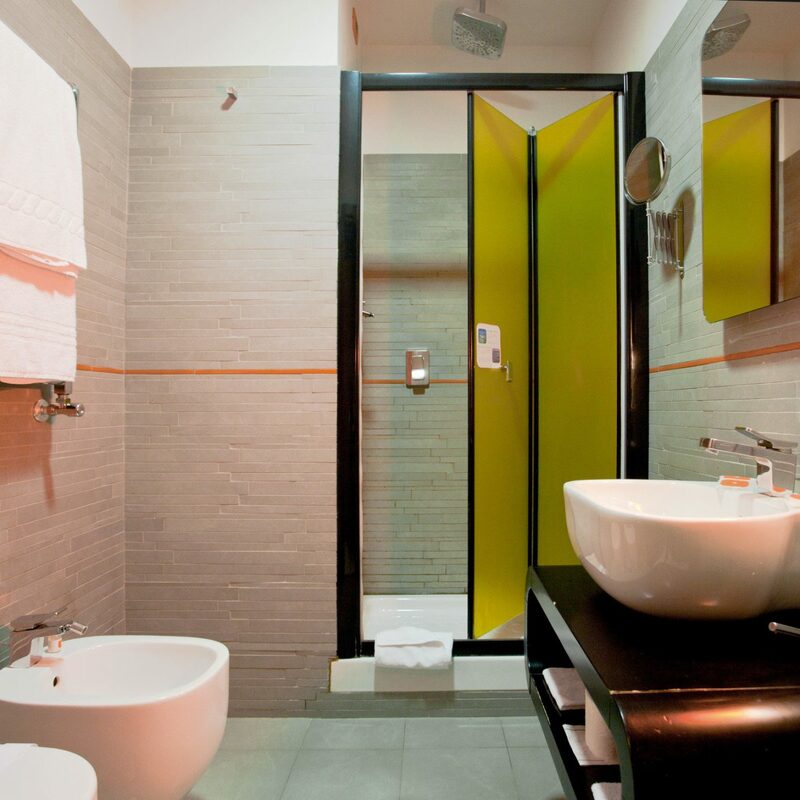 The 122 modern rooms provide a plush post-retail landing pad with streamlined interiors, a pastel-hued color palette, and sumptuous mosaic-tile baths, but the real relaxation comes at the spa, where you can choose between saltwater swims in the indoor pool or a steam in the Finnish sauna. 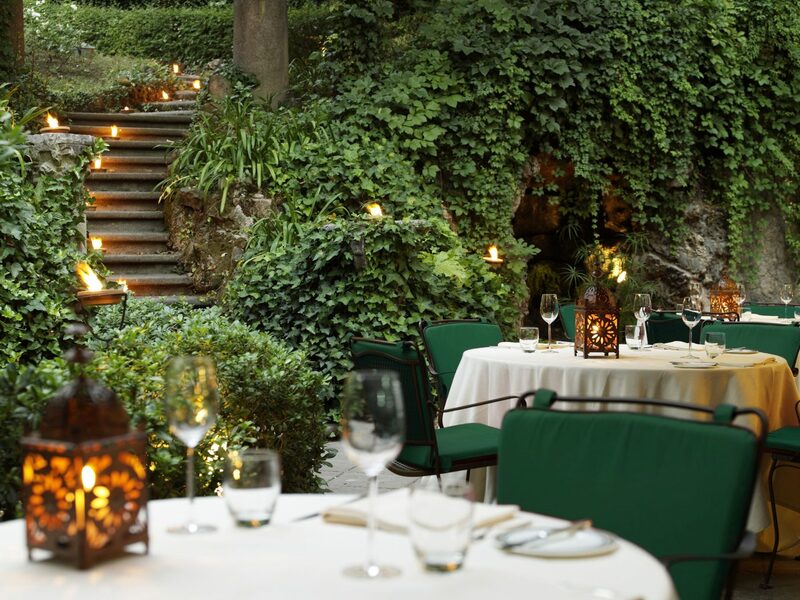 Guest also find peace in the terraced garden, which is backed by the historic grounds of Villa Borghese and dotted with statuary, or the café courtyard, fragrant with orange blossom. 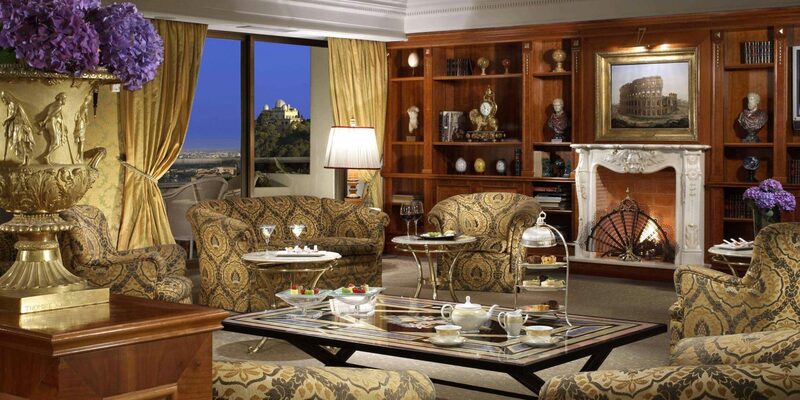 It’s not hard to see why Federico Fellini chose Hotel Majestic as a location for his 1960 classic La Dolce Vita. 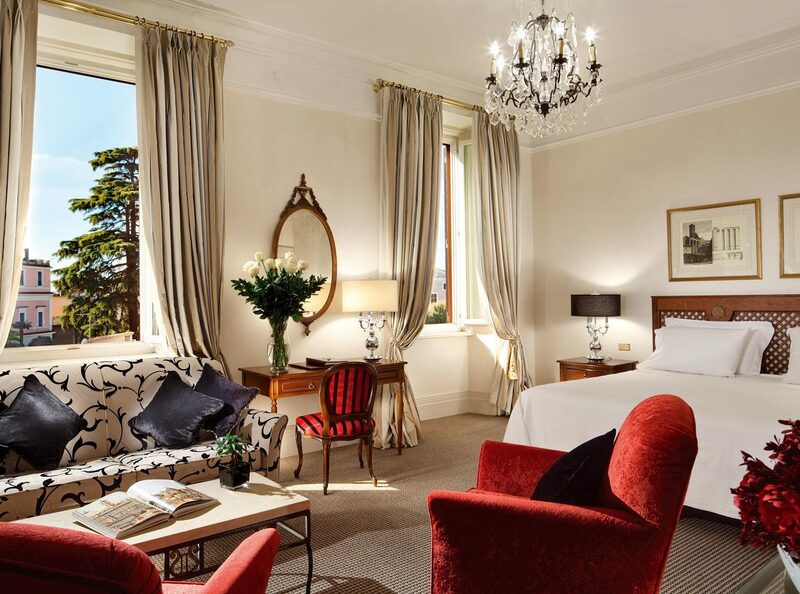 The neoclassical 1889 hotel maintains its movie set–worthy mystique with turn-of-the-century antiques and a Carrara marble lobby that has rolled out the red carpet for the likes of Madonna, Frank Sinatra, and Luciano Pavarotti. 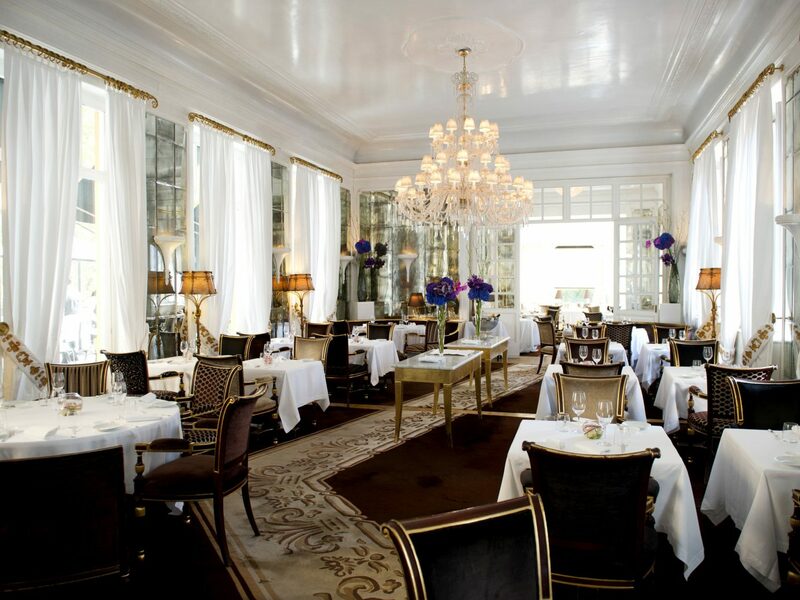 Equally breathtaking are the public spaces, from the jewel box–like Ristorante Bistrot, with its antique mirrors and gilded furnishings, to the R Bar, a dark-wood drinking den. 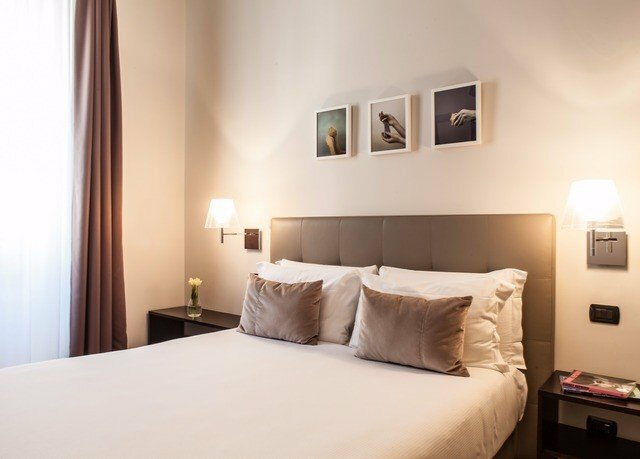 The 98 simple yet sophisticated guest rooms are ideal refuges after a day spent seeing the Spanish Steps and Trevi Fountain nearby, but try to snag a table on the terrace to watch the stylish shoppers on Via Veneto. 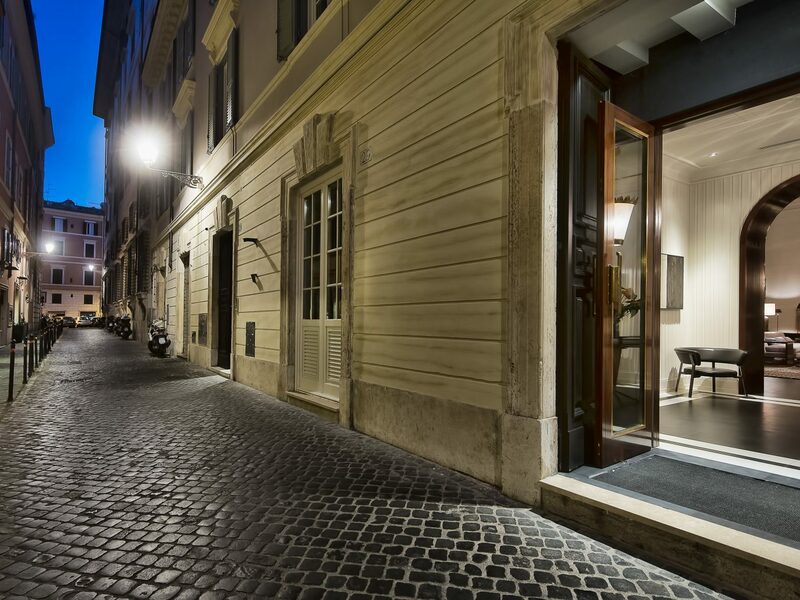 It's all about looks at architect Michele Bönan’s JK Place Roma, fittingly housed just steps from fashionable Via Condotti in the former architecture department of the University of Rome. 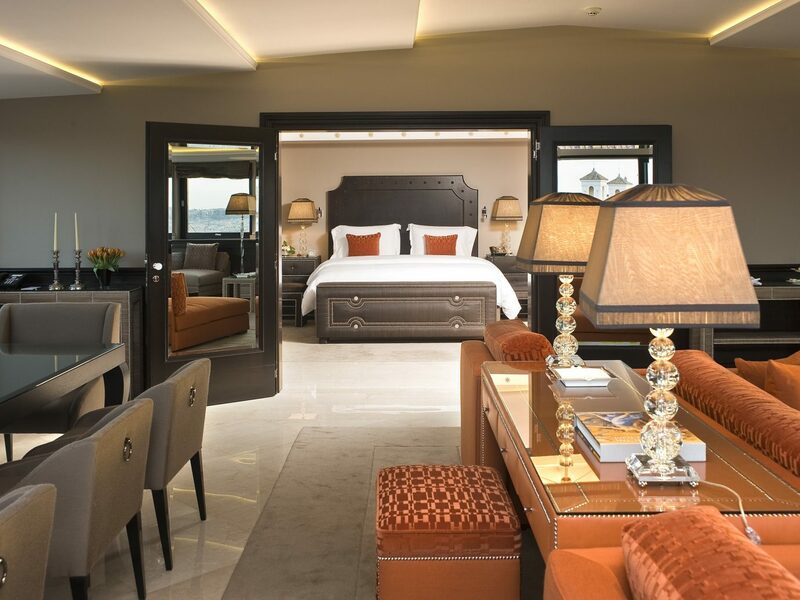 Everything about this place screams luxury, from the seamless service to the 30 gorgeously appointed rooms and suites (think rosewood canopy beds, midcentury-style desks and settees, and Italian marble baths) to the library-like common areas, each dotted with classical sculptures and richly upholstered custom seating. Order a negroni at the bar—be warned: patrons come dressed to impress—then round it out with a bowl of penne putanesca at the Easter egg–hued all-day café. 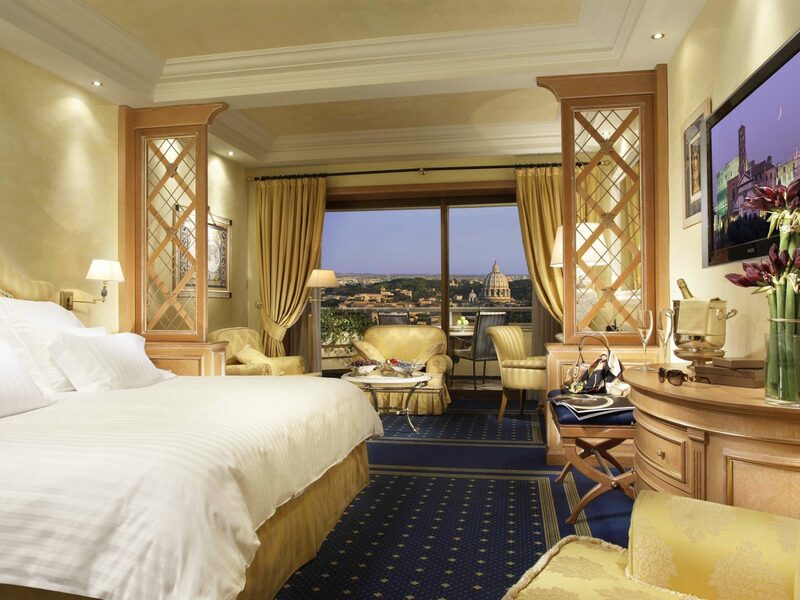 High on Monte Mario, Rome Cavalieri Waldorf Astoria and its leafy 15-acre grounds have a commanding view of the city thanks to the hotel’s somewhat remote location away from the tourist throngs (don’t worry, a free shuttle can take you to all of the sights, about a half-hour away). 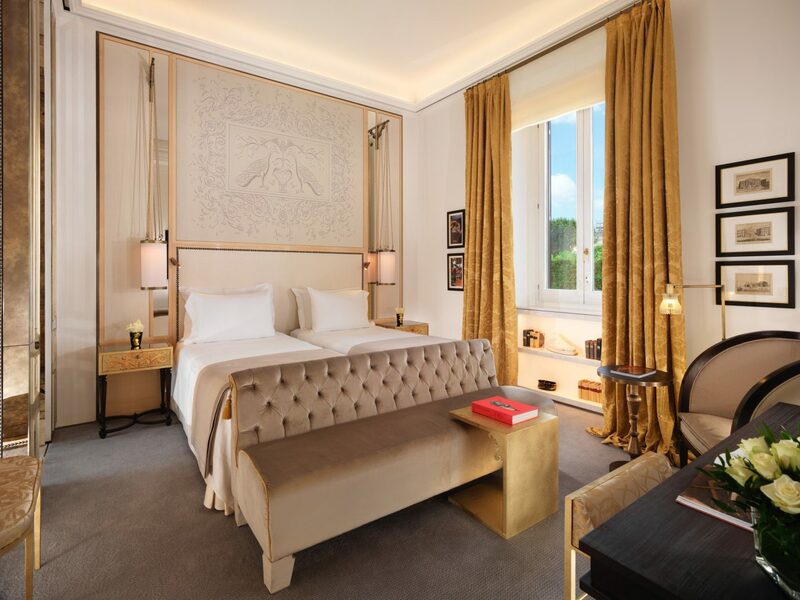 The 1960s gem makes up for its distance with a museum-worthy collection of art in the lobby (the Tiepolo is a must-see), a sprawling 25,000-square-foot spa that indulges with La Prairie treatments, Turkish baths, and umbrella-dotted pools, and one of the Eternal City’s best restaurants, the three Michelin-starred La Pergola. 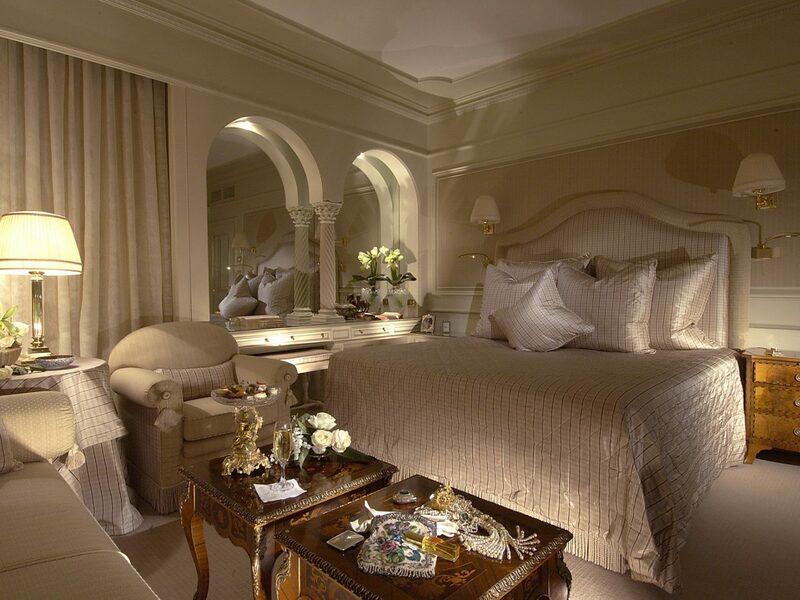 Not to be outdone, the 345 rooms have private balconies, ornate headboards, and vintage rugs. 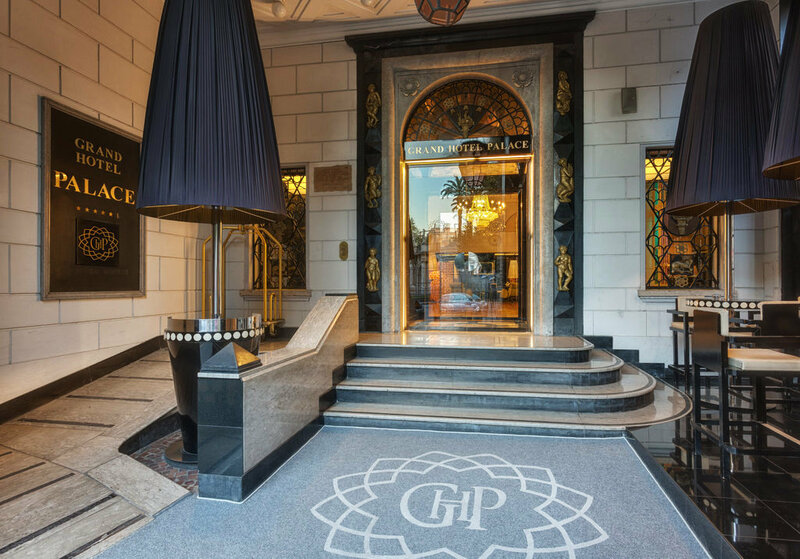 Like its neighbors the Spanish Steps and the Trevi Fountain, Grand Hotel Palace is a testament to old Rome, though in this case it’s the city’s Jazz Age incarnation that takes center stage. 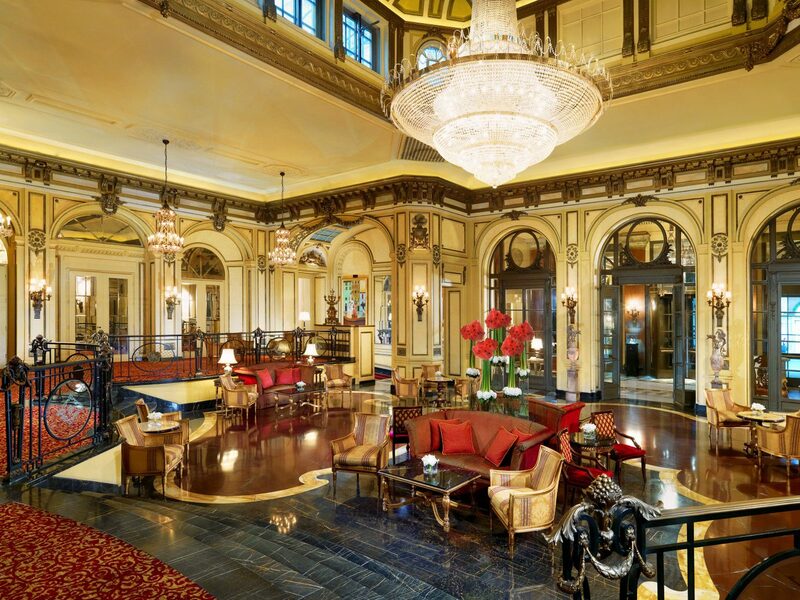 A 2010 renovation restored Venetian artist Guido Cadorin’s 1920s frescoes depicting the Roman nobility in the lounge and restaurant, as well as original details throughout the property, like the marble statuary, gilded accents, and a stately central staircase. 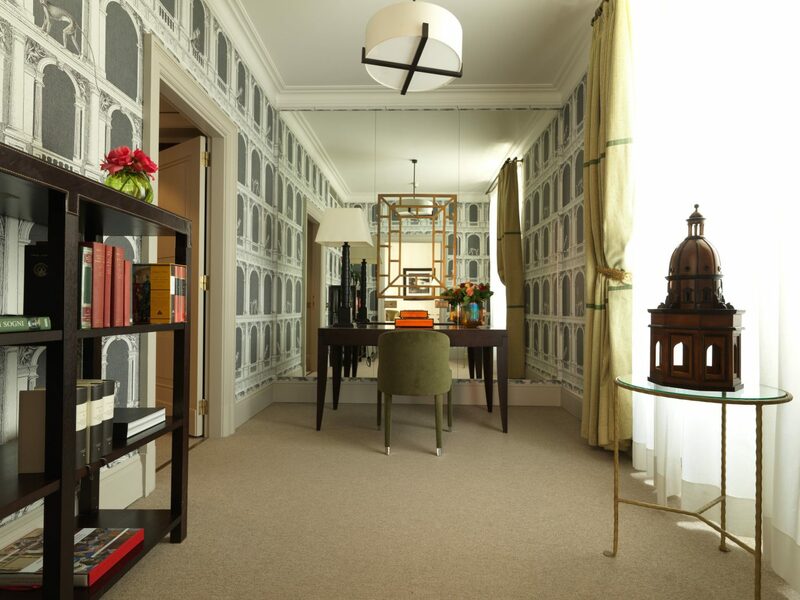 The rooms skew more modern thanks to a preppy pastel palette that complements the Art Deco–style décor and streamlined Italian furnishings. 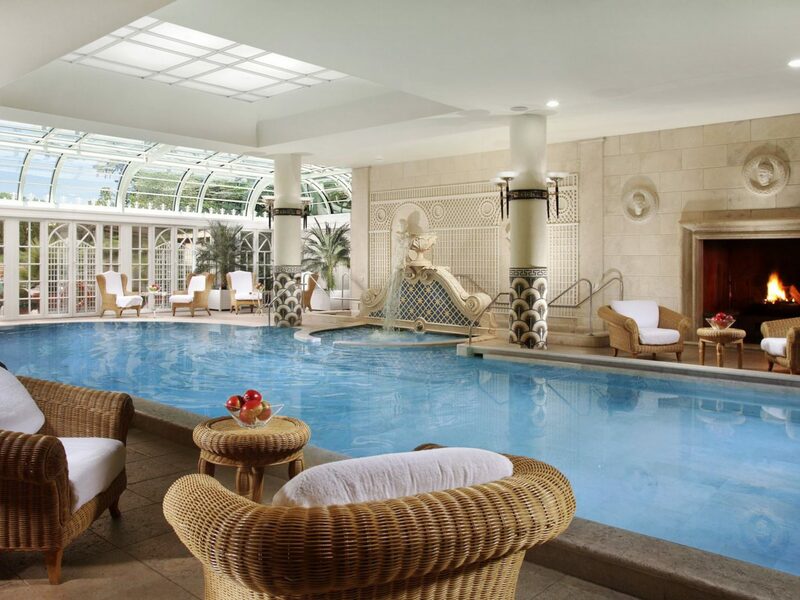 After a day spent taking in the sights, head to the Asian-inspired Kami spa for a dip in the saltwater pool. 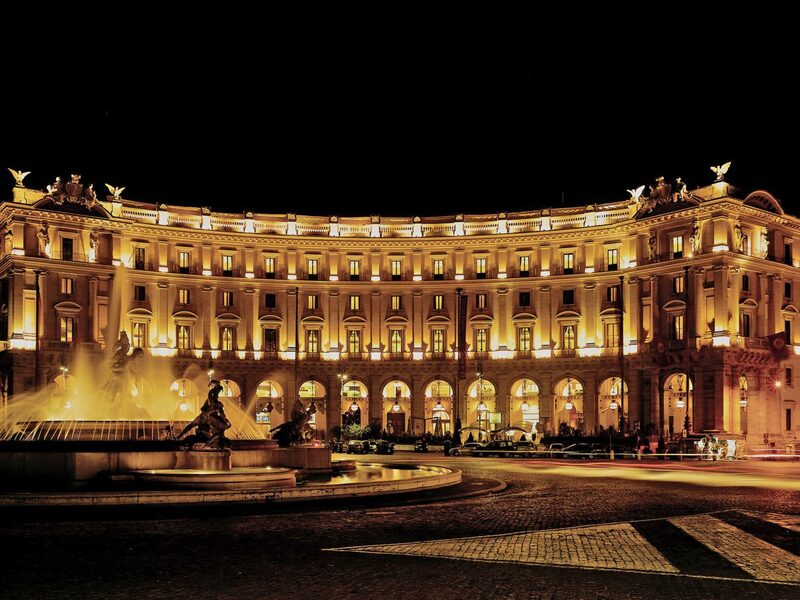 Though Rome’s diversity of attractions is hard to ignore, you’d be forgiven if you never left Boscolo Exedra’s elegant Neoclassical grounds. 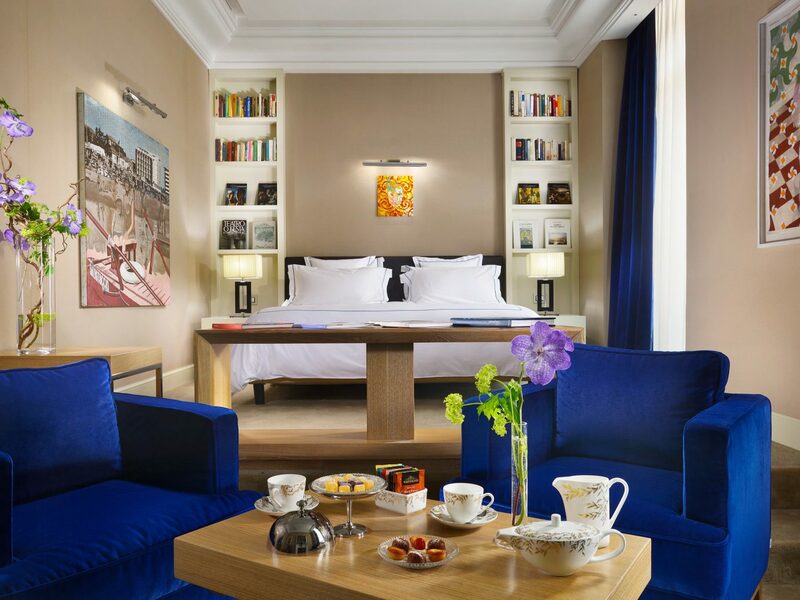 Set on a busy stretch of the Piazza della Repubblica between the third-century Baths of Diocletian and the Michelangelo-designed Basilica of Santa Maria degli Angeli, which the hotel’s rooftop pool overlooks, the 238-room hotel blends traditional details with contemporary luxury in the curvaceous lobby and beyond with ornate gilded mirrors, Murano lamps, and silk-upholstered walls; bath products are by Italian brand Etro. 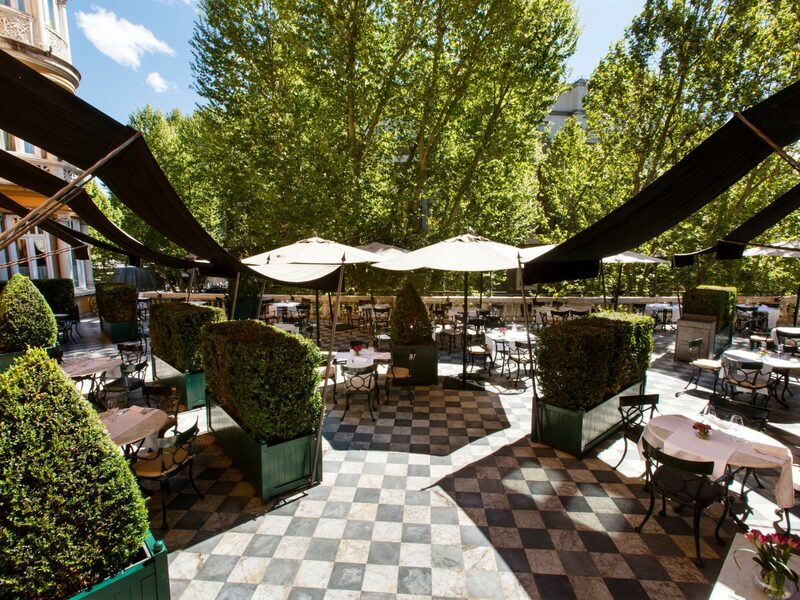 Downstairs, the Adam Tihany-designed Tazio restaurant doesn’t disappoint with its cozy velvet booths, wood-paneled walls, and framed black-and-white photos shot by Italy’s first paparazzo. 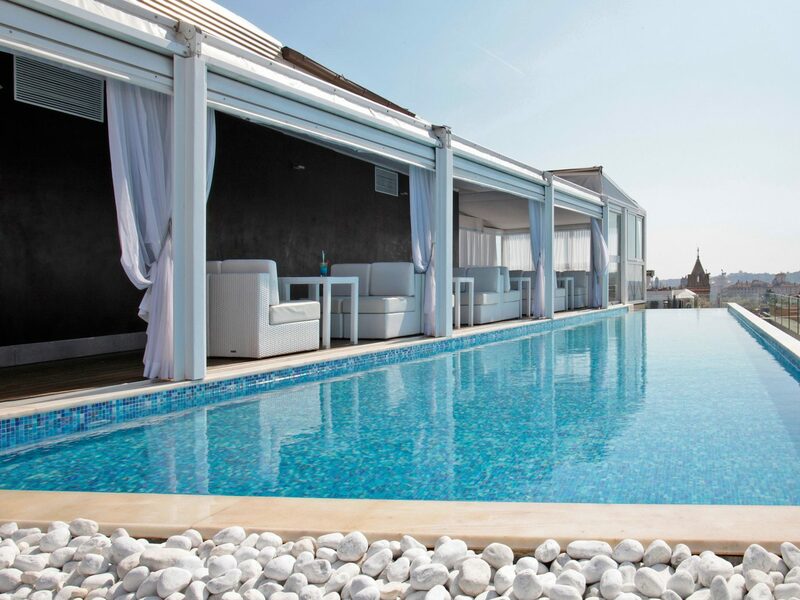 You’d be hard pressed to find a better view of Rome’s centro storico than from the rooftop bar at Hotel Eden, an 1889 grande dame that was completely overhauled with an eye toward modern luxury. 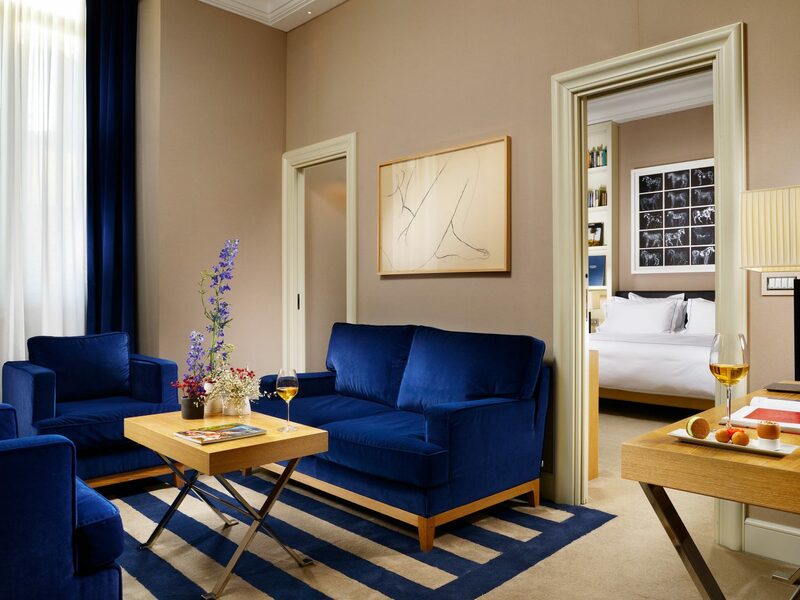 The 98 guest rooms now feature Murano lamps, Bang & Olufsen televisions, and marble baths, as well as toiletries by Italian fashion house Bottega Veneta, while a new spa specializes in treatments that incorporate natural ingredients and products from cult 17th-century Florentine brand Officina Profumo – Farmaceutica di Santa Maria Novella. 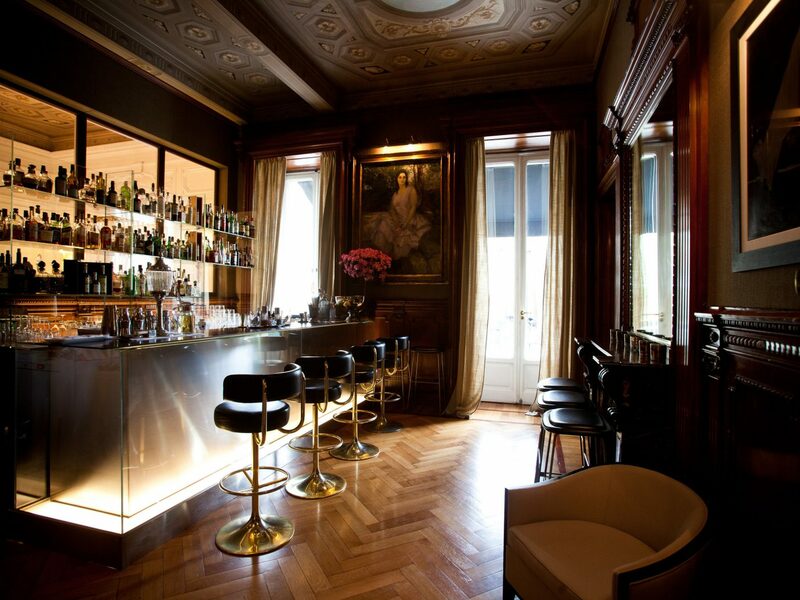 The top-to-bottom renovation also ensures that you’ll witness the requisite gilding and marble cladding in public spaces, including La Libreria, a lounge with frescoed walls, velvet settees, and a secret piano bar far from the tourist hordes nearby on the Spanish Steps.